It was in the year 2001 (October 19) to be precise, when Bollywood was treated to an absolutely cute onscreen pairing of Madhavan and Dia Mirza in the Gautham Menon directed Rehnaa Hai Terre Dil Mein. It was the very film that was domain to many melodious tracks like ‘Kaise main kahoon tujhse’ ‘Sach keh raha hai’ and ‘Zara zara’. Readers may recall that, while Madhavan and Dia Mirza made their debut in Bollywood with Rehnaa Hai Terre Dil Mein, the film also starred Saif Ali Khan. Today, on the occasion of the film completing a full 15 years of its release, Dia Mirza kept took to the social media and treated all her fans to a little surprise. 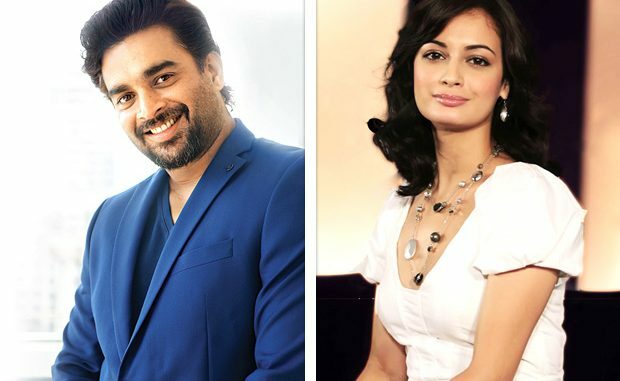 The little surprise happens to be the awesome twosome Madhavan and Dia Mirza recalling all the moments that went during the making of the film. Dia Mirza also captioned her tweet stating “As promised, here is @ActorMadhavan and my little surprise just for YOU on this very special day #15YearsOfRHTDM”.